How do you select a location for your travels? Are there popular bicycle touring routes one should know about? The best place to start bicycle touring is where you are right now! Explore the places close to your home first, and as you become more comfortable with the basic bicycle touring principles, then start expanding your reach and going to places further and further away. The location you choose for your bicycle tour will ultimately determine which type of bicycle you will need to ride, what kind of gear you are going to need to carry, how many miles/kilometers you plan to cycle each day, where you should plan to sleep each night, how much money you should expect to spend and a whole host of other factors. There are a number of different ways to find excellent bicycle touring locations. 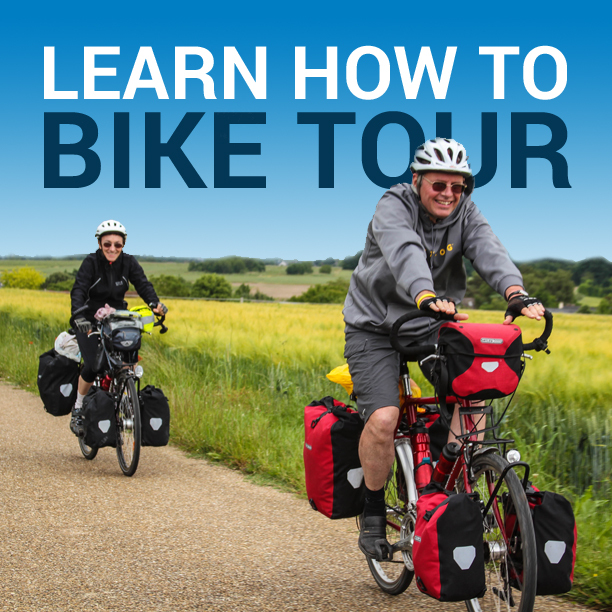 If you interested in participating in a guided or self-guided bicycle tour, be sure to check out the website at www.gobicycletouring.com. On this website you will find hundreds of different guided and self-guided bicycle tours on offer from dozens of bike touring companies all around the world. Note the locations of the bicycle tours on offer and consider traveling to these areas yourself, either as part of a tour group or on your own as a self-supported bicycle tourist. There are a number of books that have been written about established bicycle touring routes as well. The website at www.bicycletouringbooks.com is a good place to find an assortment of texts about bicycle touring locations all around the world. These how-to cycle touring guidebooks usually come with maps, food and lodging recommendations, and details on what you can expect to see and experience along the way. Finally, you can spend days searching online for information on bicycle touring routes and possibilities. Here are some of the websites I suggest you try when seeking out routes for your own bicycle touring adventures. Personal and corporate travel blogs/websites are another good place to look for local bicycle touring information, as are national tourist boards websites. And of course, you can search through the archives at www.bicycletouringpro.com to learn about the dozens of bicycle tours I have done myself in various locations all around the world. There are countless bicycle touring locations you can choose from… and thousands of different ways you could go about determining which place YOU want to experience most. Some place a friend or family member of yours has been to before. A place that was recommended to you in a book, magazine or website. A place you learned about in a film or documentary. A place that no one else has been to before. A place that everyone seems to have been to. A place of historical significance. A place of personal significance. A place you are interested in learning more about. A place that very few people in the world seem to know anything about. A place that is safe. A place that is dangerous. A place where there are lots of people. A place where there are hardly any people at all. A place where bike shops, restaurants and other modern services are easy to find. A place where you will be entirely on your own. The first step to any type of trip by bike is deciding where you want to go. For some individuals, having no destination at all is part of the adventure. But for most of us, we want to at least have a general idea of where we will be going on our trip… and this is where the planning process should begin! After years and years of traveling with my bike, I’ve come to the conclusion that the secret to a successful bicycle touring adventure begins with picking a destination that YOU are most drawn to. Let me rephrase that, because this is very important: If you want to have fun on your bike tour and return home having accomplished the journey you set out to complete, you need to pick a location for your tour that YOU are most interested in. 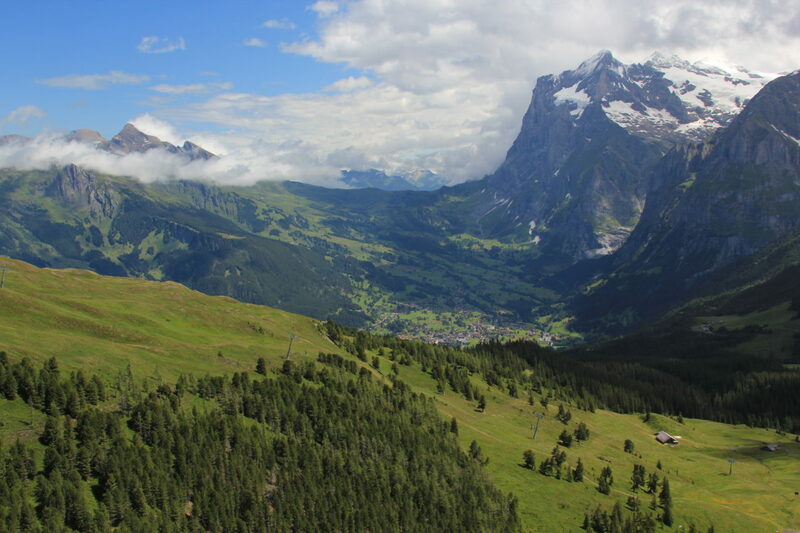 My favorite cycling destinations may not appeal to others in the way that they appeal to me. My favorite travel destinations have almost always been places that no one ever told me about – but I discovered on my own because I was passionately interested in the area. You see, if you really want to have a great time on your bicycle tour, you need to pick a location that YOU are most passionate about. If you choose a location that you are not 100% excited to visit, there is a good chance you will end your tour prematurely. When you hit that first big hill, encounter your first full-day of headwinds, or you suddenly get hungry and your next food stop isn’t for at least a couple hours up the road, you are going to be tempted to stop, turn around and go home. But when you pick a location for your travels that you are excited about, those temporary inconveniences simply don’t matter. When you find yourself traveling in a location that you are excited to be in, you won‘t quit because you know that the temporary pain of that hill, that wind, and that hunger is something you can push through in order to get to that location you have so been looking forward to experiencing. One of the many wonderful things about bicycle touring is that it allows you to go to the places in the world that are of most interest to YOU… and you can combine your bicycle tours with other things you personally enjoy. Don’t let others influence you too much. YOU should be the one to make the ultimate decision about where your next bicycle tour will take place. Figure out what your goals are for your next trip by bike. Do some research on where in the world you could best live out those goals. And then start planning and preparing for the bicycle tour of your dreams. Before you even begin to look at purchasing a touring bike, planning out a budget, or searching for travel partners, I recommend you think long and hard about where you most want to go in the world. You could go bicycle touring along a pre-established bicycle touring route and have a great time. Or you could choose to travel with a group of friends or strangers on a guided or self-guided bicycle tour. But you’ll have an even better bicycle touring experience if you choose to travel in a part of the world that YOU are most interested in. This entry was posted in Bicycle Touring Pro Articles, Featured Articles, Featured How-To Articles, Main Articles, Planning and tagged best bicycle touring routes, best bike tours, bike tour destinations, bike tour locations, bike tour planning, flat bike touring routes, how to advice, how to bike tour, how to find a bike tour, how to locate the best bike tours, safe adventure cycling routes, safe bike paths, safe cycle touring routes.